Crime writer Erica Falck is shocked to discover a Nazi medal among her late mother’s possessions. Haunted by a childhood of neglect, she resolves to dig deep into her family’s past and finally uncover the reasons why. Her enquiries lead her to the home of a retired history teacher. He was among her mother’s circle of friends during the Second World War but her questions are met with bizarre and evasive answers. Two days later he meets a violent death. Detective Patrik Hedström, Erica’s husband, is on paternity leave but soon becomes embroiled in the murder investigation. Who would kill so ruthlessly to bury secrets so old? Had I realized when I picked it up that this was the 4th book in a series, I would have looked for the first book to start at the beginning. I didn’t feel like I was missing anything starting at this point in the story, however. The relationships between characters were either evident or explained well enough that you can easily read or listen to this book without having read the previous books, and not feel lost. 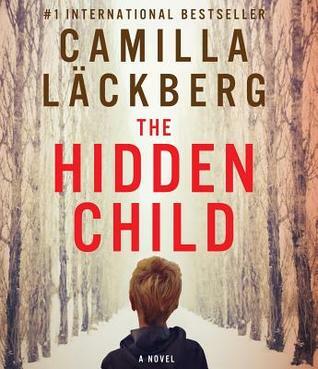 A lot of Swedish crime fiction has a particular melancholy feel to it, and The Hidden Child is no exception. The author did injected occasional brief moments of humor into the story that helped lighten the mood, however, and they kept it from feeling too dark. The story is told in both in the present, and through flashbacks, in the time around WW2. It follows the police investigation into the murder of a local historian, as well as the family drama unfolding as Erica Faulk digs into her mother’s past. The two series of events turn out to be more intertwined than anyone could have imagined, and even though I could see where it was going, the story didn’t give everything away at once and I didn’t really know what had happened until the end. If you are a fan of police procedural and / or historical mysteries, give this one a try! Sounds like a good book for a long drive.